Perfect opportunity to own a 2 bedroom/2 bath penthouse unit in Port Royal. Unit 702 has beautiful views of downtown Pensacola and Maritime Park. 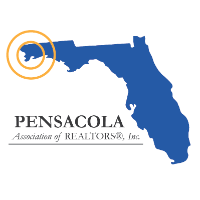 You are walking distance from downtown Pensacola shopping, restaurants, and events. This Penthouse has fresh paint throughout, and an updated kitchen with new stainless steel appliances and granite counter tops and back splash. Its has a large living area with incredible views and tiled fireplace. The bathrooms have been updated with granite counter tops and a new shower in the master bath. Don't miss the rare opportunity to own this Penthouse unit. There are only a few penthouse units in the building and this is a deal! I am interested in 702 Port Royal Way Unit 702, Pensacola, FL 32502 (Listing ID # 547373).